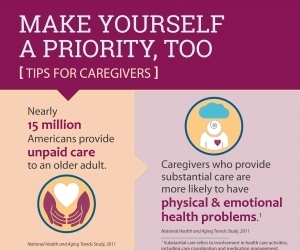 Taking care of yourself—physically and mentally—is one of the most important things you can do as a caregiver. This could mean asking family members and friends to help out, doing things you enjoy, or getting help from a home health care service. Taking these actions can bring you some relief. It also may help keep you from getting ill or depressed. Remind yourself that it's okay to ask for help from family, friends, and others. You don't have to do everything yourself. Call for help from home health care or adult day care services when needed. To find providers in your area, contact Eldercare Locator. Use national and local resources to find out how to pay for some of this help or get respite care services. It is important to have a plan in case of your own illness, disability, or death. Consult a lawyer about setting up a living trust, durable power of attorney for health care and finances, and other estate planning tools. Consult with family and close friends to decide who will take responsibility for the person with Alzheimer's. You also may want to seek information about your local public guardian's office, mental health conservator's office, adult protective services, or other case management services. These organizations may have programs to assist the person with Alzheimer's in your absence. Preview board and care or long-term care facilities in your community and select a few as possibilities. Share this information with the responsible person. If the person with Alzheimer's disease is no longer able to live at home, the responsible person will be better able to carry out your wishes for long-term care. 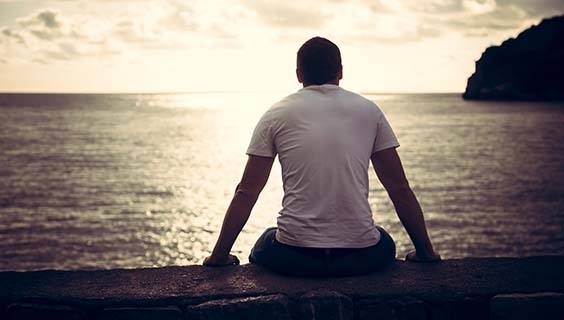 For more information on coping, explore these resources for relieving stress and anxiety for Alzheimer's caregivers.